Abdulwahid Hadji Gafar Panganting was born on July 4, 1994 in Piagapo, Lanao del Sur. 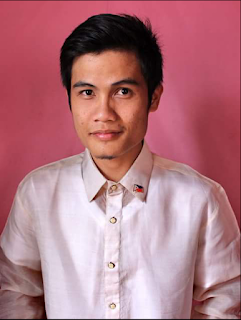 He finished his bachelor degree in International Relations at Mindanao State University-Main Campus with in three years and half. He became Philippine Delegate in Hiroshima, Japan under JENESYS 2.0 "Mindanao Peace & Community Dev't", a short exchange student gathering of ASEAN+ India & Australia organized by the government of Japan. Furthermore, he was an active volunteer in NGO and Semi-Academic Org., a conveyor of Rise Madrasah Operation and founding member/officer of MSU Muslim Toastmaster Club. In addition, he also had held different positions in several student organizations including Junior Diplomats' Club as an Auditor. Besides, due to his great contribution on making change in advocating peace and on being agent of providing informative ideas (I.e. Bangsamoro Basic Law) to the youth which had took a great part in community development, he was conferred "Young Ambassador of Goodwill 2014."